Starring: Kevin Smith, Walt Flanagan, Bryan Johnson, Ming Chen, David Zapcic. I’m not going to suggest that the show’s turned any kind of creative corner, being that this week is more of the same; I do think, however, that everyone’s really comfortable with what they’re doing at this point, and that makes for some relaxed viewing. I don’t know how you can distinguish that these guys aren’t trying so hard now but… well, maybe Bryan Johnson still is. 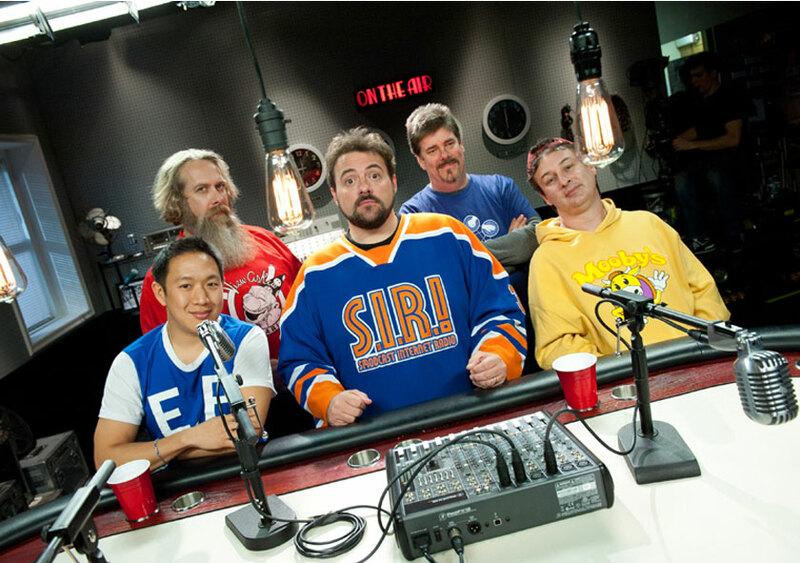 Continuing the formula of podcast footage interspersed with people selling their beloved but unwanted priceless crap, the Comic Book Men this time attempt to make the most in-your-face, “so bad it’s good” television commercial that has ever hocked geek goods. Do they succeed? Are we really interested in the finished product, or the journey? If you can’t answer that by now, you haven’t been watching. Don’t start now. The dealings with customers this week were really pretty interesting. From a “starving artist” wearing a peacock on her head to what I’m pretty sure was a homeless guy, the sellers this week tried a little harder to convince Walt to part with the store’s cash. They were even less successful than previous weeks attempts, which is what was fun about it – it was kind of like watching a series of low-speed crashes. I admit to geeking out a little, however, when one fella came in with a box containing what turned out to be possibly three-quarters of a million dollars worth of Golden Age titles. It was a special moment. Whether as a response to criticism the show has been receiving, or entirely unintentionally, I was interested to note the references made to the team’s forays into other creative endeavours. It was pointed out that Bryan Johnson has in fact directed his own movie (Vulgar for those interested), and Walt is an established comic-book artist. I don’t know if that will mean much to the naysayers, but it served to remind me that even though these guys may be putting on a juvenile show for the cameras (and the set-up nature of every encounter continues to be evident), they are capable guys who haven’t been relegated to meaningless tasks in a comic store for the rest of their lives. These guys have pursued dreams, and actually accomplished life-goals. Would that all of us could say the same, right?